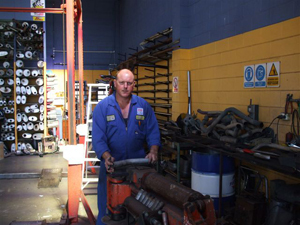 Peninsula Motors Ltd has an Exhaust Shop headed by Rob Parish who has 27 years plus experience in the industry. All makes and models of cars which require Exhaust Repairs. Rob can work out what is right for your car at the right price. Sometimes saving 100’s of dollars. 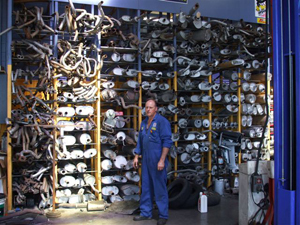 The latest in ExhaustTube Bending Equipment is available for Rob to customise an exhaust system to fit onto your car or repair your standard Exhaust System. Peninsula Motors Ltd has all your Exhaust needs taken care of. The Largest Range of Mufflers and Exhaust Pipes North of The Harbour Bridge. For Most Vehicles we have a solution in stock. Free assessment and immediate pricing to repair your Exhaust System. Often there is more than one option to Repair your Exhaust and Rob is more than happy to find a solution to suit your budget.